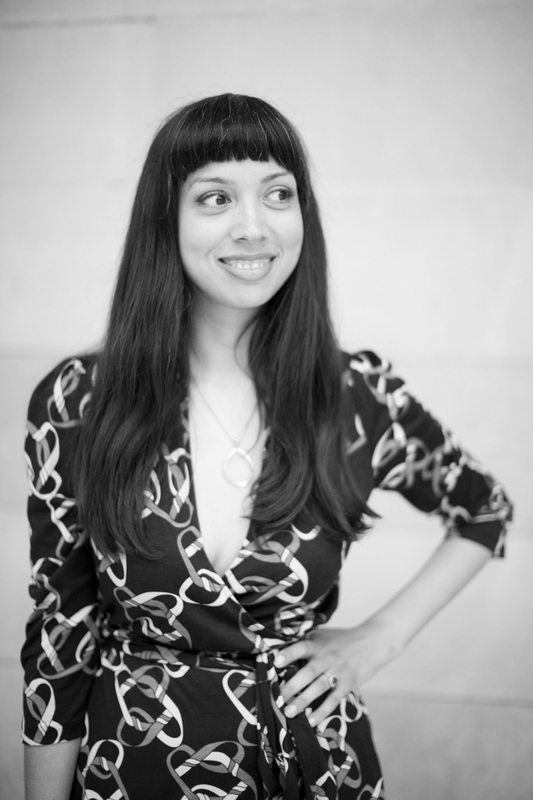 House of Anansi and Maisonneuve invite you to a book launch and reading by Saleema Nawaz and a brief but stimulating literary conversation with Saleema and Drew Nelles, Editor in Chief of Maisonneuve, and a performance by Mile End’s Monday Night Choir. The event will begin at Le Dépanneur café (206 Rue Bernard Ouest) with the choir performance from 7:00-7:30 p.m. and then continue across the street at Librairie Drawn & Quarterly. 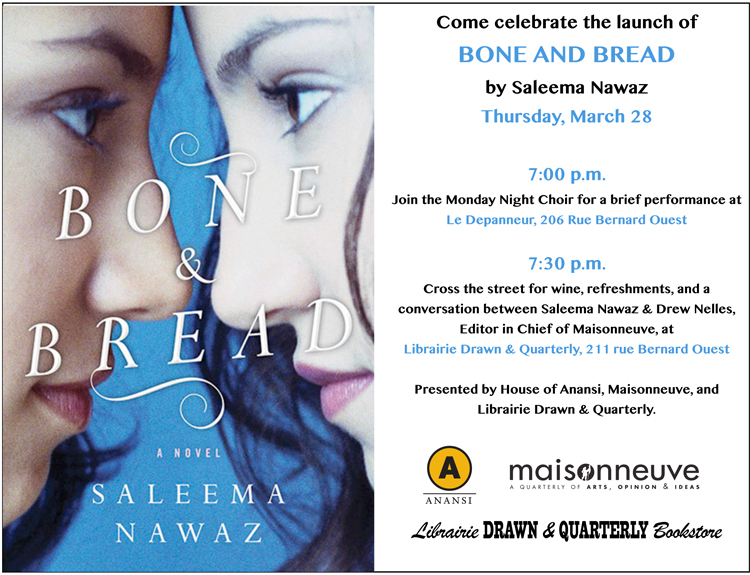 Bone and Bread is the first novel by Saleema Nawaz, author of the acclaimed short story collection Mother Superior. The book begins with character Beena trying to sort through emotions and memories after the death of her sister, Sadhana. The reader is plunged into the details of the family's past, much marked by Beena's teenage pregancy and Sadhana's anorexia, as a tale of two sisters unfolds. "Nawaz draws the core relationships with immaculately rendered delicacy; she gives the narrative time and space to unfold and evolve in a way that carries uncanny emotional punch. She also invests the novel with a vivid sense of place: Many sections are as Mile End-specific as any fiction since early Mordecai Richler [...] Bone & Bread fulfils the promise of Nawaz’s acclaimed story collection debut, Mother Superior, and then some. It is one of the events of the year on the Canadian fiction scene."